How to become Fitness manager dealer? 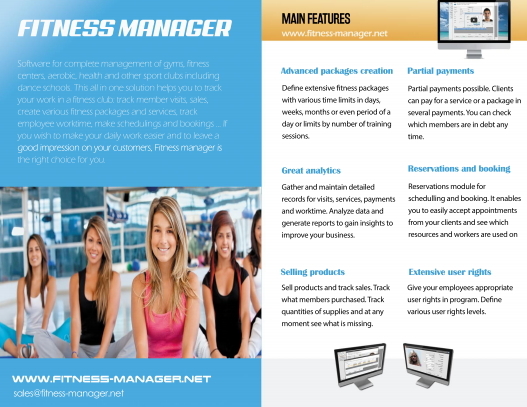 By selling Fitness manager you can earn commision of 15-25%. The only condition to become Fitness Manager dealer is to make one purchase for the full price or find a customer who will purchase at least one copy of Fitness Manager for the full price. When you become our dealer we create special account for you and send you a link of a web page where you can buy Fitness Manager with discount prices. There you can make a purchase, enter customers FM ID and get the serial number for registering the product which you then send to your customer. We provide you with quality product and technical information.